Seafood Salon. The first two Seafood Salons were great successes, so we're going to paddle ahead into another! Depending on what the market is providing, we'll cook up the freshest fish around, and maybe serve some cool, refreshing seviched fish. We'll keep everything light and summery, so BYOB those crisp white wines! Wednesday, 8/3/11 at 7:00 PM, $60. Parisian Bistro Salon. We're bringing back the Bistro Salon! Last time we discovered that these are the picture perfect foods for the Salon, so come back as we revisit some classic, simple favorites like steak frites, pork rillettes, and big bursting salads on a festive Saturday evening at the Salon. Come discuss your love of bistros, or come find out just what makes them and their style of food so important and well-loved. BYOB of course, so break out those hearty red table wines and grab a seat for a Salon that is sure to last deep into the evening. Saturday, 8/6/11 at 7:00 PM, $60. Sweet Brunch Salon. We've had some great meals at the popular Food on the Dole Brunch Salon, so this week, I've decided to make the Brunch all about the sweet stuff. You know--along the lines of french toast, pecan rolls, maple glazed bacon and the like. Next week's Brunch Salon will be all about the savory side of things: frittatas, sausages, english muffins and all their friends. Are you one or the other? Or both? Come see either Sunday, and BYOB! Sunday, 8/7/11 at 11:00 AM, $40. Castilian Tapas Salon. We're taking the Salon to Toledo, and we ain't talkin' Ohio! Join us as we explore the tapas dishes that originated in the Castile region of Spain, where over seven centuries ago a king fell ill and was revived by eating little bites of food between drinks. We'll go back to the roots of this food and explore its evolution made possible by traveling marauders. BYOB, so bring your Albariño, Sherry and Cava! Thursday, 8/11/11 at 7:00 PM, $50. Savory Brunch Salon. As you know, we're pitting sweet vs. savory in the first two brunches of August! Last week's Sweet Brunch Salon took a long look at things like french toast, pecan rolls, maple glazed bacon and the like. Today we will be on the savory side of the moon with things along the lines of frittatas, sausages, english muffins and all their friends. Join us this BYOB Sunday and get your savory juices flowing! Sunday, 8/14/11 at 11:00 AM, $40. Ribs 'n Sides Salon. We're gonna slow cook some pork ribs and finish 'em on the grill in this smoky, sticky Salon. Maybe Spare, maybe St. Louis, maybe Baby Back--only time and the market will tell. But come talk barbecue, one of the most affably contentious topics around as we complement the ribs with a good deal of tasty sides, and BYOB that cold beer! Note: you will leave with that great smoky smell all over you. Friday, 8/19/11 at 7:00 PM, $60. August is always a great month around the F.o.t.D. headquarters--as you head out of the manic excitement of it finally being warm into the melted brain yearning for it to just be a little bit cooler, come put some great food in front of yourself alongside good company, and pick up some skills along the way. Hope to see you soon! Where Do Big Old Tough Chickens Go? Figured that wasn't nearly enough so decided to make a rhubarb pie to go along with it all. It was a good, if heavy meal--one that could have fed 10 people, easily. The flavor of the chicken was so big, so pronounced, that it hardly seemed like the chicken we've grown used to, so young and tender. I don't foresee ever being privy to another bird this big that isn't a turkey, but if I am, I'm going to invite a whole lotta folks over the the homestead and do it up pioneer style like we did that day of all days: Chicken Day. Last night I went down to Honky Tonk BBQ in Pilsen and reveled in some solid barbecue and cold Lone Star beer in a non (or at least really, really faltering) air-conditioned space, and absolutely loved it. Sitting there, slightly sticky from the humidity, thinking that the barbecue itself was is fine, the service serviceable at best, and boy-oh-boy it's all hot and sweaty, I was really loving it. And that's the truth. Seems you've gotta have a bit of sweat on your lip if you're biting into some chewy St. Louis ribs, the sounds of a just-moved-here-from-Georgia singer wailing on a guitar in the heavy air. That's what the beer's for. If it was a perfectly clean, air conditioned, stark white room with, say, Kraftwerk piped in through some jerk's iPod as you eat ribs sous-vided at whatever temperature for however long with triple organic vodka tonics served to you by a gnome in white gloves, well, it wouldn't be quite the same, would it? Let it be known that I'm a big fan of Kraftwerk, and cooking things under a vacuum seal sure does work wonders, but there's a time and place for everything. And what an important part of food and eating--not just this "what farm did every single thing on my plate come from" and "are these wet-naps sustainably produced" business, but the actual time and place of it all--the sights and smells and feel of it all. The guts and soul of the experience. After all, it'll be winter soon, and we'll be listening to Nick Cave wishing for that sweet sweet sweat. It's been an interesting week, culinarily speaking. Last Saturday I was lucky enough to engage in a stellar and legendary birthday meal with a friend at the wonderful Anteprima in Andersonville--food there is always solid if not spectacular, presented non-esoterically and simply by a food runner who knows what it is he is serving to you, and the service is always completely gracious and comfortable. In fact, I have the strange honor of having never left the restaurant without being the last table in the entire place. They do a good job of making you feel at home. Mario reminded Harrison that they'd drunk twenty-eight bottles when they'd last met. "There were other people," Harrison protested unconvincingly. "They weren't drinking," Mario corrected. And did I mention we got cannoli on the way to the restaurant at the Sicilian pastry shop Pasticceria Natalina just down the street? I mean, it was gonna be closed by the time we got out of dinner! All in all, it was a tremendous way to spend the evening and after a bit of a walk, the ol' stomach was fine and ready for some late-night birthday libations. Which I indulged in. All in a night's work of building up to the legend of Jim Harrison. Whew. It's impressive, reading back over that. Moreso, it's making me really pumped up and hungry. And it isn't all about gluttony; it's about having a really good time with people you care about, and enjoying some of the fine, edible crafts we have available. A couple years later, Jim Harrison is still cranking out books, I'm still reading them, and I'm still nowhere near his formidable skill level, in a literary or gustatory sense. Good thing I've got a birthday every year. I was at work the other day, and famished. The usual overload of food laying about just wasn't happening, and I had about 5 minutes before I had to be back at it, present and "on", without specks of food in my teeth. At that moment, a co-worker came in the back kitchen, in the same situation, with a plastic bag and a couple tupperware containers. She asked if I was hungry, then proceeded to fry corn tortillas in a copious amount of oil, spread them with black beans and salsa, and top it all with cheese, another tortilla, and flip the whole thing in the pan. Yes, she was making us decadently fried quesadillas, and as she so givingly shared her lunch with me, we talked about how important that good fry is: the crisp texture yielding to the soft insides is what childhood food memories are made of (another friend's quote: "There are two types of people in this world. Those who put chips in their peanut butter and jelly sandwiches, and those who hate life."). Not only was the snack technically flawless, her act of feeding us was just so kind. That little bit got me through the rest of the afternoon, specks in teeth or not. New Salon Dates for Late July! F.o.t.D. Brunch Salon. One of our most popular Salons will continue as we make our way through another lovely Sunday morning into the afternoon over some beautifully crafted food. In the past, we've made jam, scones, homemade English muffins, poached eggs, hollandaise sauce, hash, frittatas and so much more--come join us to keep the tradition going! BYOB as always. Sunday, 7/17, 11am. $40. F.o.t.D. Charcuterie Salon. Time to celebrate all things charcuterie! Tonight we'll be working with cured meats and sausages to explore all the dimensions and flavor they have to offer, complemented with produce fresh from the region's finest farms. I'll hit Gene's Sausage Shop and Paulina Market and we'll cook up and dine on these wonders of preservation and craft because, in the words of the venerable Doug Sohn, "There are no two finer words in the English language than 'encased meats,' my friend." This one will be hearty, and calls from some big beers and red wines--BYOB as always! Wednesday, 7/20, 7pm. $60. F.o.t.D. 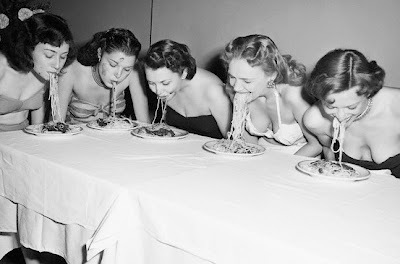 Pasta Salon. Fresh pasta is one of my absolute favorite things to make, so come spend a Saturday evening in the Salon kneading, rolling and cutting fresh pasta for a lovely mid-summer dinner. We'll share stories of our experience with pasta, learn about what makes this simple food so comforting and dig in to a hearty and soulful meal together. The Salon is, as always, BYOB, so bring those big Tuscan wines to enjoy as we cook the evening away. Come with questions and an empty belly; leave with technique, a sense of community and a snapping waistband. Saturday, 7/23, 7pm. $50. F.o.t.D. Southern Staples II Salon. We had a great first Southern Staples Salon, and it's just about that time to fire up the cast iron again and get some friend chicken going. During my time in Atlanta, I ate some of the most memorable food of my life. Southern food has a certain soul to it, and we'll be recreating some of that here at this Sunday Salon, so come join us as we celebrate the simplicity of one of the truest cuisines we can call our own. This one will be hearty and is BYOB as always, so bring some moonshine! Sunday, 7/24, 3pm. $40. F.o.t.D. Vegetarian Salon. In the Food on the Dole Vegetarian Salon, it isn't about replacing meat with boring faux-meats. We're celebrating all of the gorgeous vegetables available to us here in the mid-summer in several different preparations, letting each vegetable and grain be what they are--delicious and nourishing. Come explore all of the bounty from the local farms in this highly market-driven Salon; based on what I find at the farmer's market, we'll prepare a full and delicious meal. The Salon is BYOB, please bring whatever you'd like to drink. Thursday, 7/28, 7pm. $40. F.o.t.D. Campagne Française Salon. I'm really excited about this one! When people ask me what my favorite type of cuisine is, my thoughts always turn to the countryside and what the paysans are eating. Yes, peasant food is, to me, some of the most delicious food out there--hearty and simple, and always so aware of what is available year round. This late afternoon Salon will celebrate the ethic of the French farmhouse, with beautiful and simple food to be had with great company and your BYOB saison beers or red wines. Please note that this is definitely not a vegetarian meal! Sunday, 7/31, 1pm. $50. I hope everyone's summer has been going great; come join us in the Salon and share some great food while picking up a few techniques and building some community! What a great (if pickled) Fourth of July weekend. I got to explore a new neighborhood in Chicago--West Town--somewhere I really had no exposure to before this weekend. But while down there, I ran into a friend, and through the magic of friendly people being, well, friendly, was invited to her friend's great 4th cookout (I say cookout as I fear my Southern friends' wrath for calling anything not involving smoking a huge piece of meat for several hours a barbecue) on the roof of a building that has an unblemished view of Chicago's skyline and, thus, a 360° view of the fireworks in all of our neighborhoods all over the city. That day was absolutely gorgeous, and beyond the amazing weather and top-notch food, I was most impressed by the grace, hospitality and generosity of those hosting and joining the party. There are times that, as a chef, it can be hard to get an invitation to share food someone has made; chefs never get invited to dinner! But let me say, that when I do, it's all about the fact that you are sharing with me something you created, and critiquing or criticizing that would be the absolute last thing I would ever do. So, a huge thank you to the hosts this last weekend, and everyone there for that matter. There were beautifully grilled sausages, farro salad, steak and chimichurri, cakes and the fudgiest brownies. Home brew was shared and mixed drinks were invented, and we watched some solid fireworks. What did I contribute? Well, other than my usual ability to make food disappear, I brought a little salad I love made with shredded mango, cucumber, carrot and red pepper, doused with a dressing of sliced serrano chiles and shallots soaked in a ton of lime juice and cane vinegar, brown sugar and a touch of fish sauce, topped with crushed peanuts. It reminded me of why I love southeast Asian flavors so much, and why I am terrified of mandolines. Anyway, as we return to a bit of normalcy, and the last few hangers-on light their last few fireworks, I'd like to offer a big thanks to the hosts of the world for sharing a bit of yourself with and opening yourself up to the rest of us! Last night's Vegetarian Salon welcomed 6 great Saloneers, none of whom are vegetarian, and only one of whom is pescatarian. To me, that's a positive sign that folks just want some really good food, and if there's meat, great, and if not, that's great too. As one of the world's bigger carnivores, I've always found it to be a great and fun challenge to come up with creative vegetarian dishes--those that showcase, um, vegetables, rather than trying to emulate meat in any way. Don't get me wrong, I actually love a good veggie burger here and there, but you can keep the seitan hams and tofurkeys and tempeh McNuggets. We ended things with tiny little cherry pies I made earlier in the day, with a rich, buttery crust and the first cherries of the season from Seedling. That huge, noisy hailstorm struck right as we sat down to eat, so, in the candlelight, we shared stories and tucked in to our plates as thunder crashed around us. This morning, as I started writing this, I got really hungry. So what does one do in that situation? Well, this one fried up some kielbasa with the leftover veggies, and put it all over some of those grits. That'll get me through to this heat wave about to hit.